An Internal Proxy is used to facilitate the manual crawling feature. In cases where automatic crawling does not work as expected, or when users want to run a more controlled scan, this proxy should be started. 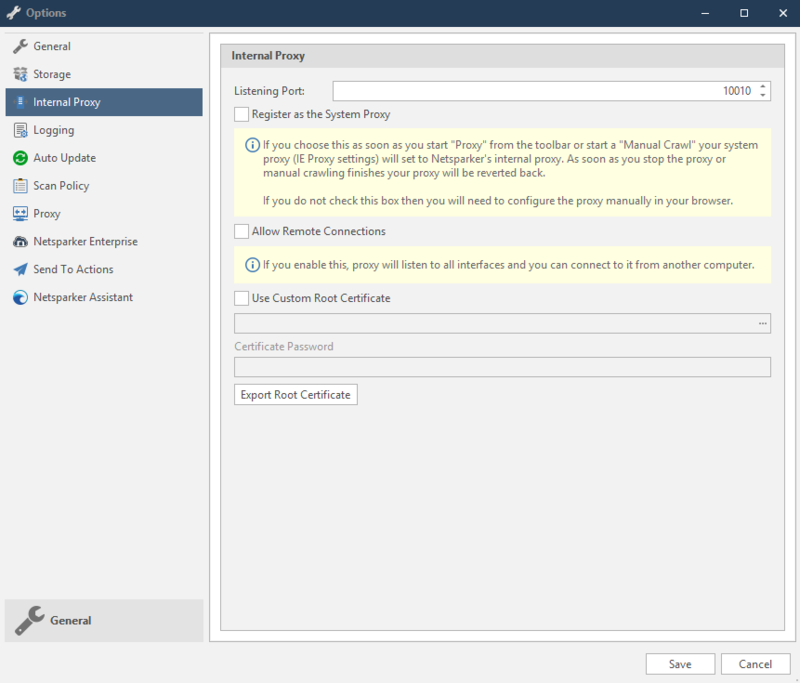 In the Internal Proxy tab, you can register as the System Proxy and allow Remote Connections. You can also use and export the Custom Root Certificate. If it is set as System Proxy, all programs (browsers, for example) that are set to use the system proxy will use Netsparker as a proxy. 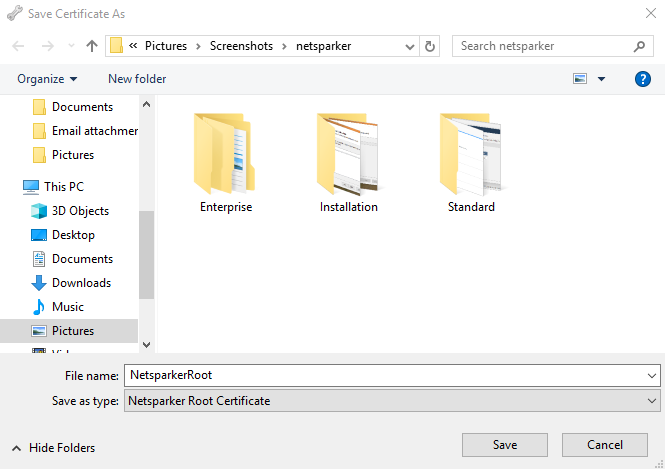 If it is not set as System Proxy, programs should be configured specifically to use Netsparker proxy. For intercepting SSL/TLS traffic, a Root Certificate should be used. Click the Internal Proxy tab. Enable the Register as the System Proxy checkbox. In the Home tab, click Options. Click the Internal Proxy tab. The Options dialog is displayed. Enable the Allow Remote Connections checkbox. Enable the Use Custom Root Certificate checkbox. Search for the certificate file name. Click Open. Click Export Root Certificate. The Save Certificate As dialog is displayed.